We came to know about your association with recent campaign on undernutrition in India and truly appreciate your commitment for the cause. 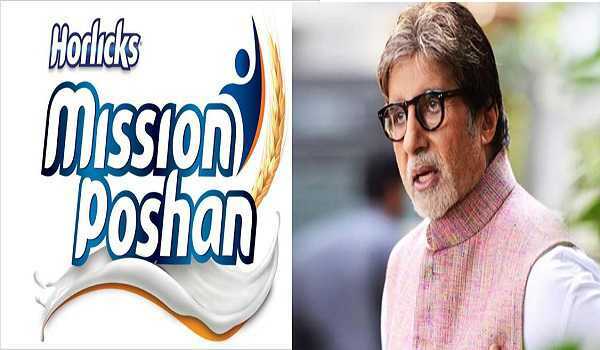 However, we are shocked to see that you are joining hands with Horlicks and Network 18 to launch “Mission Poshan” to support India’s Rashtriya Poshan Abhiyaan. Horlicks is a high sugar product, as 100 gram of a popularly advertised pack of Horlicks Delight, contains 78 gram of carbohydrates of which 32 grams is sucrose sugar. This is harmful for children as it may contribute to childhood obesity and non communicable disease in later life. We hope you are aware that WHO recommends a reduced daily intake of free sugars throughout the life course to less than 10% of total energy intake. Furthermore, in the interest of good health WHO suggests intake of free sugars to below 5% of total energy intake. In 2016, the World Health Assembly (WHA) adopted a Resolution 69.9 that recommends ending inappropriate promotion of foods for children from ages 6−36 months based on WHO and FAO dietary guidelines. Going by this recommendation promotion of Horlicks falls in category of “inappropriate” as they use false health claims in TV commercials. It is neither good food nor nutrition, it is just a high sugar product, what now a days is called empty calories. We believe that this campaign is misleading and undermines optimal nutrition.Big food companies are known to adopt marketing tactics that build brands by entering through the back door. Horlicks, in this case is championing the cause of nutrition. You may be aware that undernutrition mostly creeps into the resource poor households. We fear that this campaign will influence families and children from these families to buy Horlicks assuming it is a good nutritious product as you are behind it. Horlicks is expensive, may displace real family foods. Thus, your association with Horlicks is unlikely to achieve the objective of curbing undernutrition in India. We also believe such an association will negatively impact your image. of socially concerned artiste.therefore we request you to call off the association with Horlicks immediately in ; public interest’. A national think tank on nutrition –consisting of independent experts in epidemiology, human nutrition, community nutrition and pediatrics, medical education, administration and management; having decades of experience in respective fields; has come together to advocate on nutrition policy in public interest.